Rick Telander, ed. Glenn Stout, series ed. 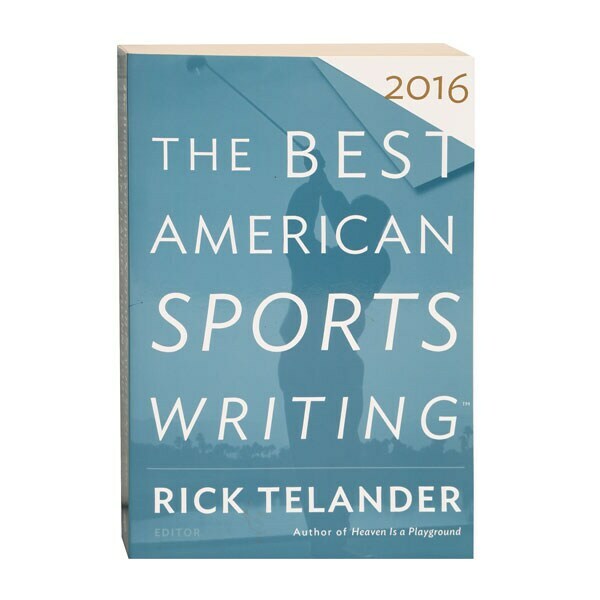 A senior sports columnist for the Chicago Sun-Times and the "Basketball Evangelist" for Slam magazine, Rick Telander presents this collection of 27 top-notch stories from Chris Ballard, Steve Fainaru and Mark Fainaru-Wada, Brett Popplewell, Alexandra Starr, Wright Thompson, L. Jon Wertheim and Ken Rodriguez, and other contributors. The pieces are defined by one shared thread: effort—whether it's the physical strength it takes to play professional hockey and football, the gumption for a 42-year-old writer to learn in six months how to dunk a basketball, or the mental and emotional toughness needed to turn around a losing team.